The brilliant engineers at Avions Marcel Dassault began work on the 2000 in 1972. 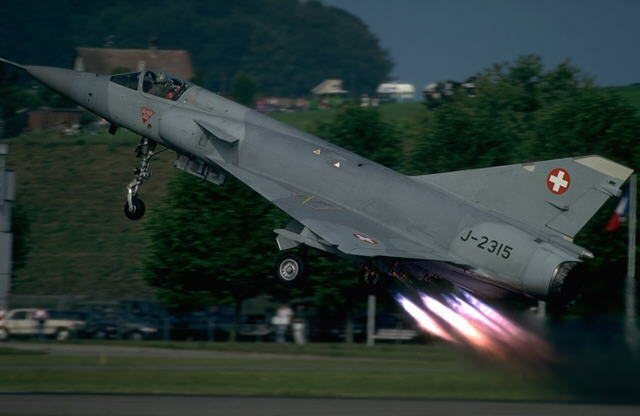 Three years later, France's Armee de l'Air sought a new fighter and backed development of this arrow-like craft. 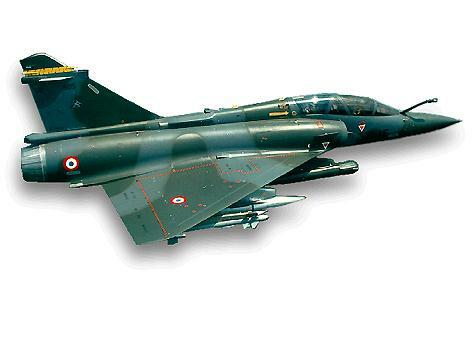 Now standard equipment in the French fighter arm, the Mirage 2000 has a large wing with "relaxed stability" and automatic flight control system, making this warplane extremely aglie and giving better handling than traditional deltas. Lacking a horizontal tail, the Mirage 2000 uses elevons at the trailing edge ot its wing. The result is one of the world's most successful delta-winged fighters. This is very mush a pilot's aircraft-a "Top Gun" in the world of moderen dogfighting, especially when armed with the Magic 2 missle. The Mirage 2000 has become a popular export item, serving with Adu Dhabi, Egypt, France, Greece, India and Peru. Known for its air-to-air prowess, the Mirage 2000 also has considerable air-to-ground capability. A successful two-seat trainer variant has also been developed into France's Mirage 2000N nuclear strike aircraft.